In this lesson, we will learn how to solve arithmetic operations including multiplying positive four- and five-digit numbers by two-digit numbers without calculators. 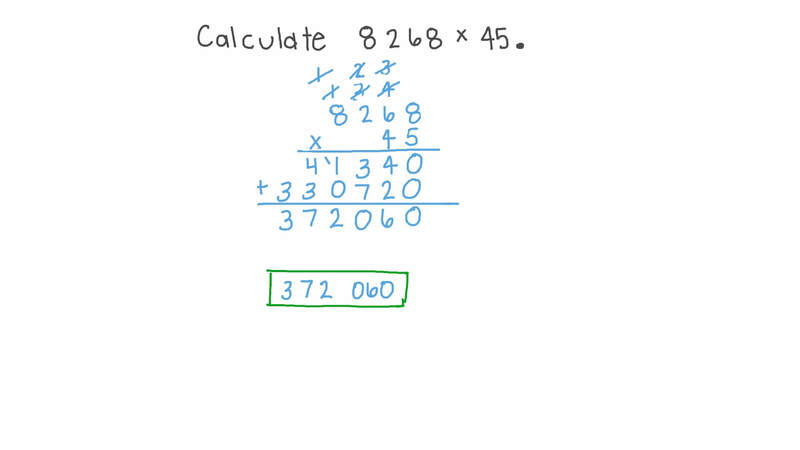 Calculate 8 2 6 8 × 4 5 . 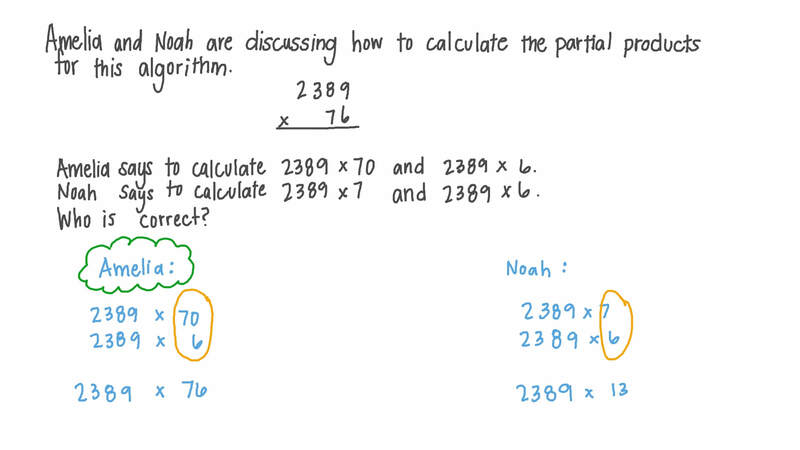 Dina and Adel are discussing how to calculate the partial products for this algorithm. Dina says to calculate 2 3 8 9 × 7 0 and 2 3 8 9 × 6 . Adel says to calculate 2 3 8 9 × 7 and 2 3 8 9 × 6 . Calculate 4 1 7 5 × 8 1 . Calculate 6 1 8 3 × 9 8 . Calculate 9 4 6 8 × 2 4 . Calculate 1 7 3 8 9 × 2 3 . Calculate 3 4 6 2 5 × 8 6 . Calculate 4 7 2 5 3 × 8 8 . Calculate 5 7 8 3 9 × 5 1 . Calculate 6 1 9 3 6 × 1 2 . Calculate 7 9 3 5 9 × 1 8 .